C (ISSN 2311-5629; CODEN: CABCC3) is an international, scientific, peer-reviewed, open access journal on carbon research published quarterly online by MDPI. Open Access -free for readers, free publication for well-prepared manuscripts submitted before 1 July 2019. High visibility: Indexed in Chemical Abstracts / SciFinder (ACS). Rapid publication: manuscripts are peer-reviewed and a first decision provided to authors approximately 15 days after submission; acceptance to publication is undertaken in 7.5 days (median values for papers published in this journal in the second half of 2018). 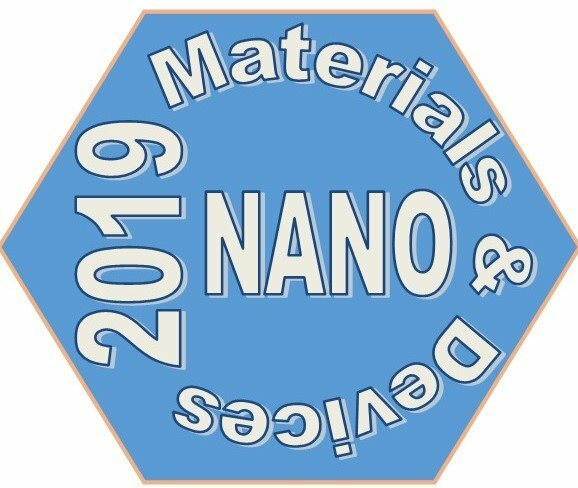 Carbon nanodots (CNDs) is the newest member of carbon-based nanomaterials and one of the most promising for the development of new, advanced applications. Owing to their unique and unparalleled physicochemical and photoluminescent properties, they are considered to be a rising star among nanomaterials. [...] Read more. Graphene is a highly studied material due to its unique electrical, optical, and mechanical properties. Graphene is widely applied in the field of energy such as in batteries, supercapacitors, and solar cells. The properties of graphene can be further improved by making nanocomposites [...] Read more. Advances in wearable, highly sensitive and multifunctional strain sensors open up new opportunities for the development of wearable human interface devices for various applications such as health monitoring, smart robotics and wearable therapy. Herein, we present a simple and cost-effective method to fabricate [...] Read more. Several crucial problems, such as rapid population growth and extended demands for food, water and fuels, could lead to a severe lack of clean water and an energy crisis in the coming decade. Therefore, low-cost and highly-efficient technologies related to filtration of alternative [...] Read more. Magnesium oxide (MgO)-templated nitrogen (N)-doped mesoporous carbons were prepared by using polyvinylpyrrolidone (PVP) as a raw material and magnesium lactate (Mglac) as a precursor for the MgO template to examine the influence of heating temperature and MgO precursor (magnesium acetate was used in [...] Read more. In our publication from eight years ago (Kogan, E. 2011, vol. 84, p. 115119), we calculated Ruderman-Kittel-Kasuya-Yosida (RKKY) interaction between two magnetic impurities adsorbed on graphene at zero temperature. We show in this short paper that the approach based on Matsubara formalism and [...] Read more. Transmission electron microscopy and neutron or X-ray diffraction are powerful techniques available today for characterization of the structure of various carbon materials at nano and atomic levels. They provide complementary information but each one has advantages and limitations. Powder X-ray or neutron diffraction [...] Read more.